For large Press Photo click here. For medium Press Photo click here. 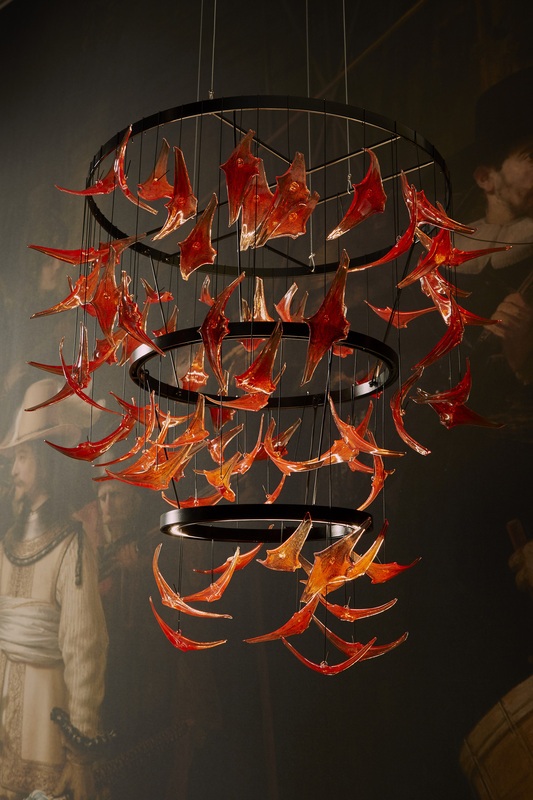 "Swarm" Chandelier, red by Bibi Smit, 2019, glass, steel and LED light, H approx. 100 cm. "Swarm" Chandelier, gold by Bibi Smit, 2019, glass and steel, H approx. 150 cm. "Spun Glass" Vessels by Bibi Smit, 2018, handblown glass, H 35 cm. 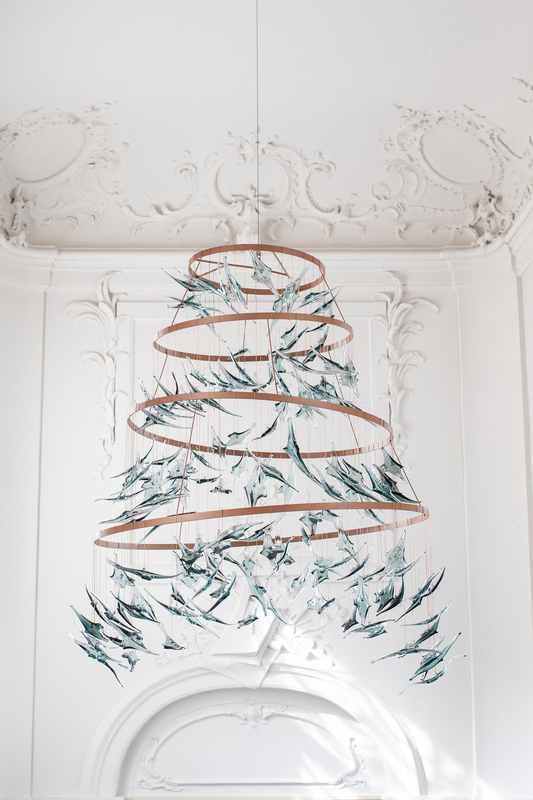 "Swarm" Chandelier, black by Bibi Smit, 2019, glass, steel and LED light, width approx. 200 cm. artikel in Hollands Glorie magazine Hollands Glorie No 2 - 2019.